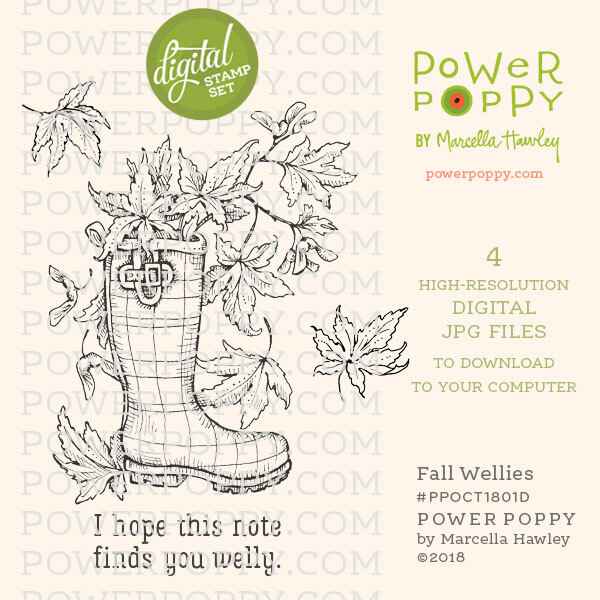 The Buzz: Power Poppy ~ Fall Wellies! 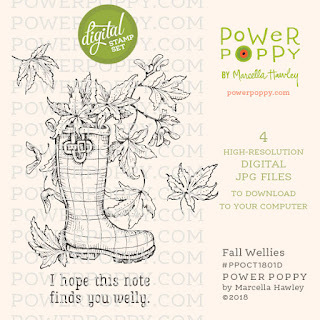 Power Poppy ~ Fall Wellies! 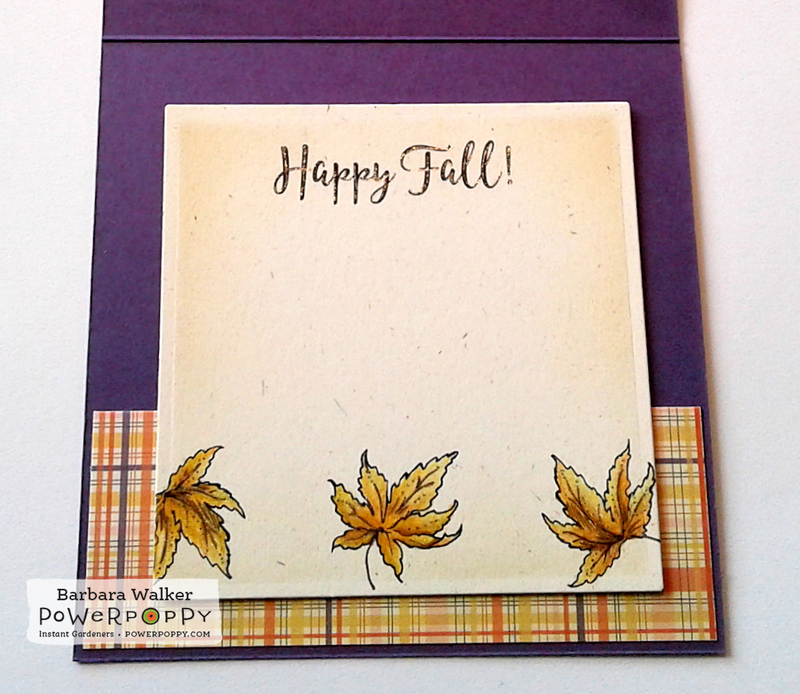 "When there’s a crispness in the air and a vibrance in the leaves, you want to bring that wonderful fall feeling into your cards. It's only natural! This snappy tartan boot (known as a welly, British slang for Wellington) looks quite cute paired with falling Japanese Maple leaves. In this digital download, you get two extra leaves along with the main image, and a punny sentiment wishing someone "well-y". :) This image is also available in our clear polymer set, Feeling Fall." I just love this illustration and it was an absolute pleasure coloring it! I printed the image onto a piece of Rustic Cream card stock from Papertrey Ink. I like using that card stock for Fall themed cards because it has flecks and specks in it. And it gives the card a homespun country feel. After printing, I colored the image with Prismacolor colored pencils. I added a little Antique Linen Distress ink around the edges and used a Clear Stardust Gelly Roll pen to accent the Welly and leaves. I flush mounted the focal panel and added a few Stampin' Up! Candy Dots for interest. Then...I worked on the inside of the card. I love that Marcella gave us the individual leaves. I created a windblown look with them by rotating them in my Word document. SO fun! I used the same patterned paper from the front of the card to tie everything together. And that is it for me today! Thank you for visiting. Please take a moment to buzz over to the Power Poppy blog to be inspired by my team mates. Have a wonderful weekend! Do something creative! Fantastic work, Barb. Your coloring is so beautiful. Soft and elegant. You sure know how to dress up a card. Perfect for fall. Thanks so much for sharing your talents!